Provides leadership for the global BioProduction Quality Network. Responsible for 15+ Site Based Quality Organizations across the world. Contributes to the strategy and development of the Quality Management System. Partners with the operations and commercial organizations to ensure customer fulfillment. Manages matrix relationships to ensure compliance of the network. Deploys key programs to ensure alignment of the organization to agreed goals. Creates, enhances, and sustains compliance systems for registered medical devices and pharmaceutical products. Works across multiple product lines and types of manufacturing processes seamlessly. Impacts through delivery of results. Communicates internally to senior leaders and to diverse audiences. Completes assignments of diverse scope and complexity. Provides training, mentors, and coaches team members and peers. Supports complex, cross-functional quality issues in a variety of subject matter areas (e.g. biology, electrical, mechanical, chemistry and software). Drives resolution and proactive solutions to quality complaints (functional defects with components or performance related failures), backorder issues, and dispositioning of materials. Conducts advanced data analyses to determine quality problems and to identify larger scale quality improvements. Provides quality specific training and guidance to the organization (e.g. Six Sigma Black belt program) to correctly identify and define quality problems early. Participates in cross functional team projects (R&D, Mfg, Vendors, etc). Examples: support new product introduction projects, or quality improvement projects – identify root cause of product specific defects. Determines clarifications and compliance to written standards (e.g. ISO), providing additional information for the site to ensure consistent application of quality processes. Ensures overall program and product quality improvement by guiding other team members in continuous process improvement implementing preventative actions and reviewing lessons learned. Bachelor’s degree in Science or Engineering Disciplines. 10 years experience within the Medical Device or Pharmaceuitcal Industry supporting Regulated Products. Expert knowledge of Quality Management System design and oversight from a Medical Device or Pharmaceutial perspective. Proficient in Computer applications and current software (Microsoft Excel, Outlook, Word, Access, Project); compliance specific software programs (Agile, Trackwise, LIMS, Master Control, ERP, etc.). Training in Lean Sigma/Six Sigma processes. Support of Medical Device or Pharmaceutical New Product Introductions. Strength in the Cell Culture/Microbiology area. Strong competency in Quality Control methods and validations. 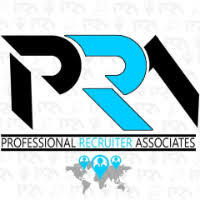 For immediate consideration, please forward a copy of your current resume to info@profrecruiters.com referencing job #1719 or a link to this job.